The man recognized by the Palestine government based in Ramallah as prime minister, Salam Fayyad, has tendered his resignation to President Mahmoud Abbas. The most immediate cause of the dispute between the two was that, under pressure from crowds and from the Fateh party, the minister of finance, Nabil Qassis, tendered his resignation. Fayyad rejected that resignation, but President Abbas accepted it, overruling his prime minister. The finance portfolio is so controversial because the Palestine government is broke. A respected economist, Fayyad was undone in part by punitive Israeli and American policies that cut off money to the Palestinian government because it sought observer state status at the United Nations. (Israel collects taxes and tariffs for Palestine and then turns the money over to Ramallah, but had declined to release the funds since November.) The money was released after President Obama’s recent visit to the region, but far too late to save Fayyad. The US really only has itself to blame for the loss of Fayyad, with whom Washington liked to deal. If they liked him so well they shouldn’t have cut his government off from funding or allowed their Israeli clients to do so. As for the hard line ruling Likud Party in Israel, it is dedicated to keeping the Palestinians stateless and little more than slaves, whose property can be usurped at will. So no doubt Prime Minister Binyamin Netanyahu and his allies will greet the news of disarray in Palestine with great glee, whatever they say publicly. Israel also undermined Fayyad by flooding Israeli settlers into the Palestinian West Bank and grabbing Palestinian resources such as water, making Fayyad look helpless and clueless as the territory over which he allegedly ruled looked more and more like Swiss cheese, settled by hundreds of thousands of illegal aliens. The United States government sometimes timidly demurs from Israel’s policy of stealing Palestinian land, but de facto Washington is Israel’s enabler in this regard. Fayyad had become extremely unpopular in the West Bank not only because of his helplessness and perceived good relations with Israel and the United States but also because of high inflation and widespread indebtedness. 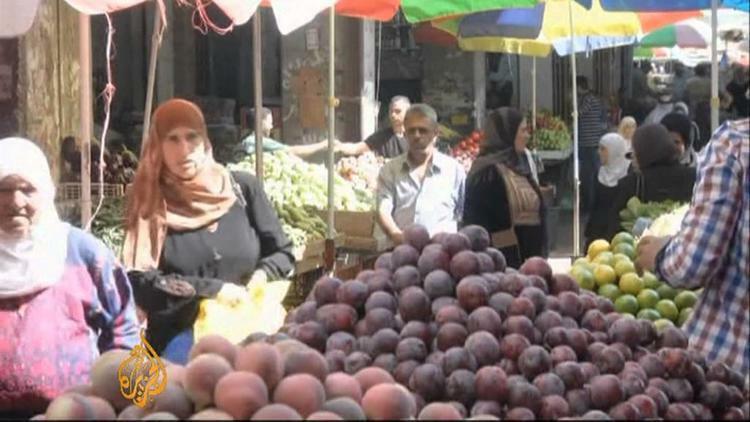 Many Palestinians are deeply indebted to banks. The Palestine government’s lack of funds, imposed by Washington and Tel Aviv, contributed mightily to the economic crisis. Hamas in Gaza has its own prime minister, Ismail Haniyeh. The Hamas government was elected in January, 2006, but the Israelis and the Bush administration declined to recognize the elected government and connived at a coup against it. The coup succeeded in the West Bank, bringing the Palestine Liberation Organization back to power there. But it failed in Gaza, where Hamas retained power. Attempts by Israel in 2008-2009 and fall of 2012 to dislodge Hamas militarily from Gaza were miserable failures. Some analysts think that President Abbas wants to move to a national unity government with Hamas, and that Hamas’s rejection of Fayyad as prime minister was an obstacle to that step. After that, Abbas is said to want to move to new elections. The Israeli right wing will squawk about Hamas, but then they should not have undermined Fayyad. “The Fatah Movement wants to get rid of Fayyad and made several attempts in this regard over several years through closed meetings and the media, and by inciting trade unions against him. It finally motivated the Palestinian street against his policies. However, Abu-Mazin [Mahmoud Abbas], who was angry at Fayyad in the past months, has different calculations related to the continuation of the flow of funds. Also, he does not wish to engage in a clash with Western powers that support and want Fayyad. If Fayyad leaves his post, his move will affect the level of the Western aid to the Palestinian Authority and harm measures that were announced by US Secretary of State to consolidate growth in the West Bank. Fayyad enjoys large US support. US President Barack Obama praised him several times when he visited Palestine and Israel last month. He also met privately with Fayyad in Ramallah. Kerry too did the same. Abu-Mazin disagreed with Fayyad many times. But what Fayyad considered a challenge to him when Abu-Mazin accepted Finance minister Nabil Qassis’s resignation last month after he personally rejected it was the straw that broke the camel’s back. Abu-Mazin may wait for an agreement with HAMAS in order to get rid of Fayyad. He received yesterday President of the Central Elections Commission Hanna Nasir who handed him a file on the results of the registration of voters. The voter list has been updated in both the West Bank and Gaza Strip. Nasir told the president that the central elections commission will be ready to hold elections when a presidential decree setting a date for the elections will be issued. Before issuing two simultaneous decrees to form a government and set a date for elections, Abu-Mazin wants to agree with HAMAS on the formation of a unity government to be led by himself, so that elections may be held afterward in three months’ time. However, many problems concerning the priority and importance of issues stand in the way at a time when HAMAS accuses Fatah of being selective and says that all issues, including the status of the PLO, must be resolved at the same time.